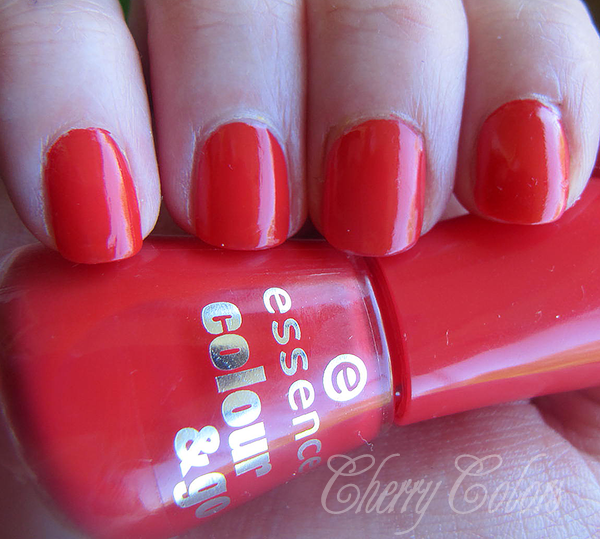 NOTD: Essence Redvolution - Cherry Colors - Cosmetics Heaven! I don't have any posts scheduled so I am writing these on time ;). I have still a bunch of almost made posts and from all of them I though this one would be the best (others need more words.. haha). Actually it is a one coater, but I used two, just to be sure. The formula is a bit thinner than their regular formulas. I can't get over how pretty it is! 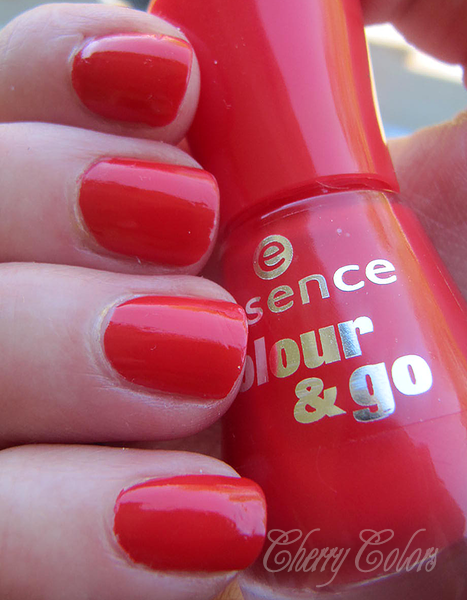 Also because of the thin formula, it dries incredibly quickly! About 5 minutes! Sadly my nails were pretty messed up in that period of time, so the polish didn't last more than three days on my nails.